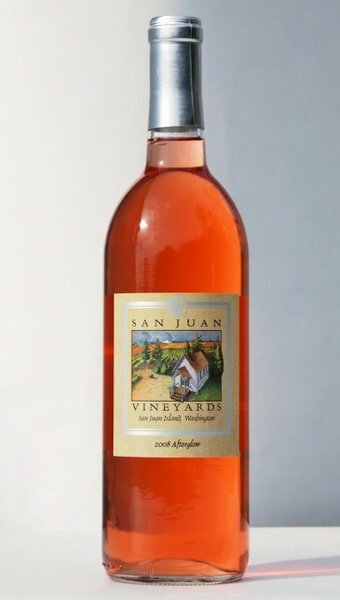 Wes: Hi everyone, this is Wes and we have Yvonne Swanberg of San Juan Vineyards on the line to tell us about her summer barrel tasting event this weekend on San Juan Island. Hi Yvonne, how are you doing today? Yvonne: I’m doing just fine. Wes: It is a sunny day here on San Juan Island....is the weather going to hold out for this weekend? Yvonne: The weather will hold out. Great weather is forecast for the entire week. 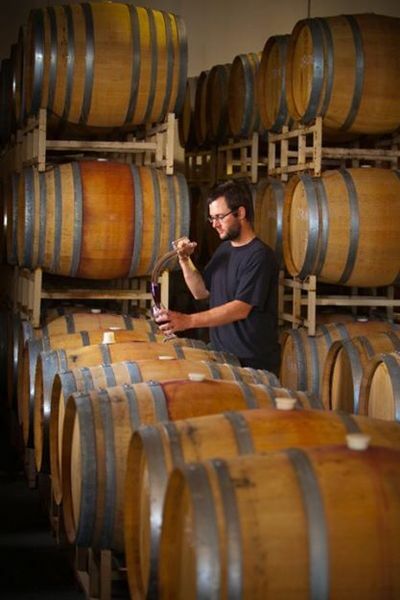 The Barrel Tasting is Saturday from noon to 5 p.m. Our winemaker, Chris Primus, will be here with his barrel thief, taking samples for those who attend. There will be light snacks, wine script for the barrel and varietal tastings. Music!! Music will be the Jim Moe Show, and Jim is local talent. We will feature our Estate varietal, Siegerrebe, winner of two Double Gold Medals in competitions. This will be showcased on Saturday, June 7. Wes: I have a question about barrel tasting, is this something that the vinters do multiple times a year? Yvonne: Most wineries will have two barrel tastings per year. It's very popular to have a holiday barrel tasting and then some will have a small spring barrel tasting. We do our tasting more towards the summer so that we can capture better audience. Wes: I saw on the press release that there's going to be plenty of cheese and chocolate and other snacks, please tell me more. Yvonne: We’ll have some good crowd pleasing snack foods. There will be a nice variety of cheeses – brie, Manchego, etc. We charge a cover of $10 a person and customers get eight tastings – from the barrel and varietal tastings, enjoy music and island camaraderie. Wes: What kind of turnout do you expect? Yvonne: We usually get a 100-150 people. We set tables and chairs on the lawn behind the tasting room where there is some shade. This makes for a nice and comfortable ambiance. Wes: It is $10 to attend; but if you are a Outpouring Wine Club Member then you get in free? Yvonne: If you are a Outpouring Wine Club Member then you get in free, it's one of the perks. That wine club support sits throughout the year and so we do our special event, they attend free, we also do a couple of like we might, and we have a spring relief party and once in a while we'll do something like that in conjunction with when our wine club releases, which is 4 times a year, and then our wine club members can come by and pick up their wine club and sponsorship card and enjoy the wine specials and everything, snacks at the same time. Wes: So is this a family and pet friendly event or should kids and pets be left at home? Yvonne: Actually it is a family event, we welcome children here and pets are welcome as well. We are a dog friendly establishment. Wes: For transportation, can people drive and park on-site? 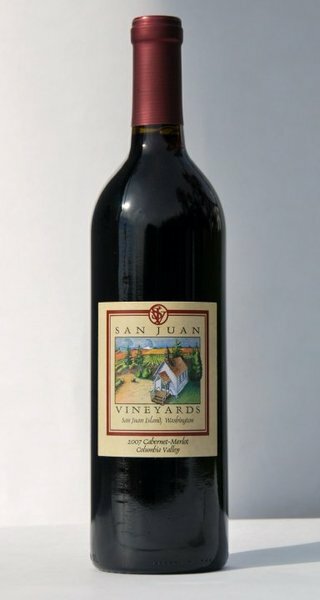 Yvonne: We have ample parking and San Juan Transit will bring people here on their 11:45 schedule to the vineyard. We will shuttle them back at 2 and 3 in the afternoon. Wes: So that leaves somewhere from within Friday Harbor and they pay for that separately correct? Wes: I saw on the website you produce multiple different kinds of wine, is all of the wine there produced from the grapes grown on site? Yvonne: No, we grow two varietals – Siegerrebe and Madeleine Angevine. 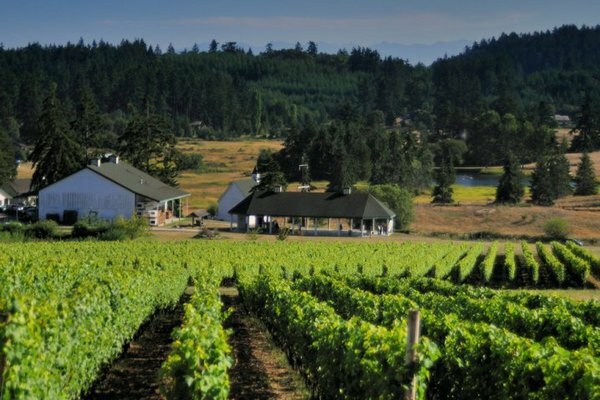 The majority of our wine production come from grapes grown in the Columbia Valley and Horse Heaven Hills AVA. Wes: And for visitors not able to attend this event, which restaurants around town do you recommend they visit to pick up some of your wine? 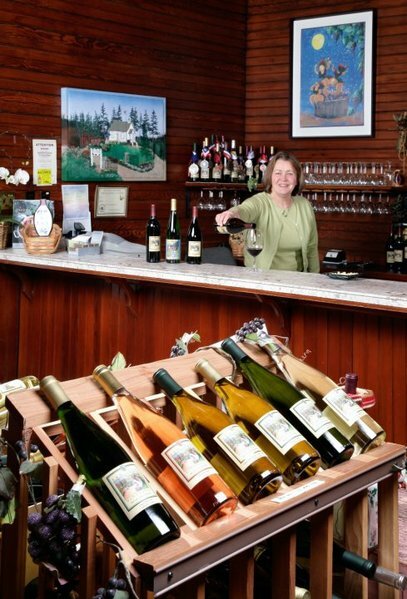 Yvonne: We are represented throughout the island, Duck Soup Inn has our wines, Vinny's Restaurant, The Bluff, Backdoor Kitchen, The Place, King's Market, and the Spring Street General Store across the street has the full line up of our wines for sale. 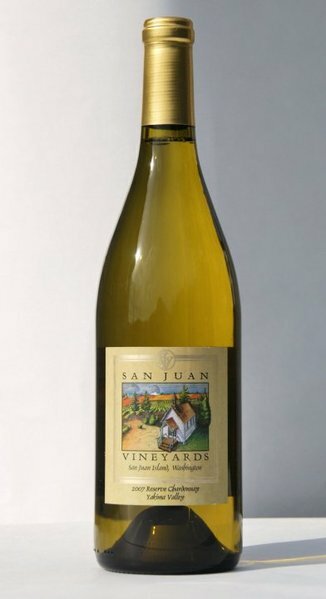 Wes: Excellent, we'll look out for that, and the website is SanJuanVineyards.com, I appreciate your time, thanks everyone for listening.